OUR GUIDES | Luxury Homes, Rural Properties, Starter Homes, Urban Residential and REOs all receive guaranteed service. With Over 25 years experience marketing and selling homes in Oregon, Susan has the experience you need in a professional to guide you through your next move. She has worked as a Real Estate Broker/Trainer for three real estate organizations in the Portland Metro Area and is well known for her knowledge of the industry. Susan graduated Eureka Senior High School in Eureka, California, served four years in the United States Air Force as a personnel/personal affairs specialist and attended Kinman Business University in Spokane, Washington. She has also served as a real estate loan officer for a major bank and her knowledge of lending can assist you greatly when choosing who will guide you through the loan process. 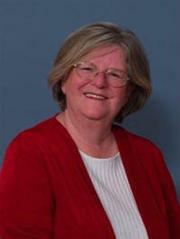 Susan serves on the Professional Standards Committee for the Portland Metropolitin Association of Realtors. Her work with this association keeps her abreast of changes in the Realtor Code of Ethics and assists her in the training of other brokers. Susan and her husband John have lived in Oregon City since 1981 where they have raised three children. Each of the children attended local schools and graduated from Oregon City High School. Their youngest, Randy Hamilton is now a real estate broker with Elite.